Military systems require power supplies that consistently provide performance in the most demanding applications. This is one of the reasons that the military has standards to cover input parameters that power supplies see —MIL-STD-1275, MIL-STD-1399 and MIL-STD-704. There are also military specifications describing the various environments such as MIL-STD-810 and MIL-S-901. Defense contractors rely on these standards to ensure they receive a product that can meet the challenges inherent in combat situations, whether they involve extremes of temperature or humidity, or protection from electromagnetic interference. There are also industrial standards the military uses to take advantage of “commercial” products such as the VITA standards (VMEbus International Trade Association). Advanced Conversion Technology (ACT) manufactures a wide range of high reliability military power supplies. Our products are used to power critical devices such as communications and navigation systems in military ships, ground vehicles and other applications where performance is essential. AC-DC power supplies for use in shipboard (MIL-SDT-1399), ground platform (MIL-STD-1275) and aerospace (MIL-STD-704) applications. Our products include low and high voltage linear circuit systems, as well as switched topology power supplies. DC-DC power supplies for ground platforms, aerospace, and other applications. Our products are capable of handling high voltage spikes to MIL-STD-1275 specifications and meet requirements for managing low voltage transients MIL-STD-704. A key feature of all our products is a high degree of application specificity. Our custom military power supply units can be configured with a variety of input and output voltage levels. We design and sell VME rack power supplies as well as bench top systems in multiple sizes. The ability to withstand extreme conditions is a key requirement of compliance with military standards for power supply systems. Our products can be housed in ruggedized frames to provide dependable performance when exposed to vibration, shock or other impacts. We design military rack mount power supplies that can be used in temperatures ranging from -55 to 105°C, as well as in high humidity or extremely arid conditions. Our products meet MIL-STD-1399 harmonic distortion standards, MIL-STD-810 standards for environmental design and MIL-STD-461 standards for electromagnetic interference. For more information and detailed technical specifications, browse our website to find the type of device you require or contact our engineers directly. Engineered to meet MIL-STD standards but tailored to make maximum use of “COTS” parts. All our products are manufactured in our vertically integrated Middletown, PA facility, where we have complete control over quality and testing at all stages of the product life cycle. 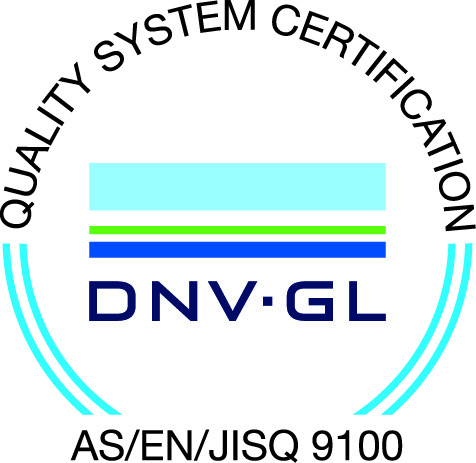 Quality management in our facility is certified to AS9100D and ISO 9001:2015 standards. We also maintain a strict policy on conflict minerals and counterfeit materials, helping maintain the integrity of the military supply chain. Let us match you with the right low noise power supply solution for your needs. Call or contact our team of expert engineers to get started today.